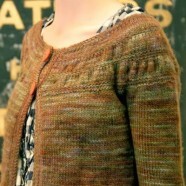 This time, the tea leaves are predicting a knitalong of this gorgeous top-down sweater. Now that the hubbub of the holidays is dying down please take a look at our most recent newsletter. 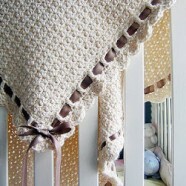 We have two new knitalongs beginning in January plus our first-ever crochetalong. Also there are new class listing and a look ahead to our tenth anniversary.